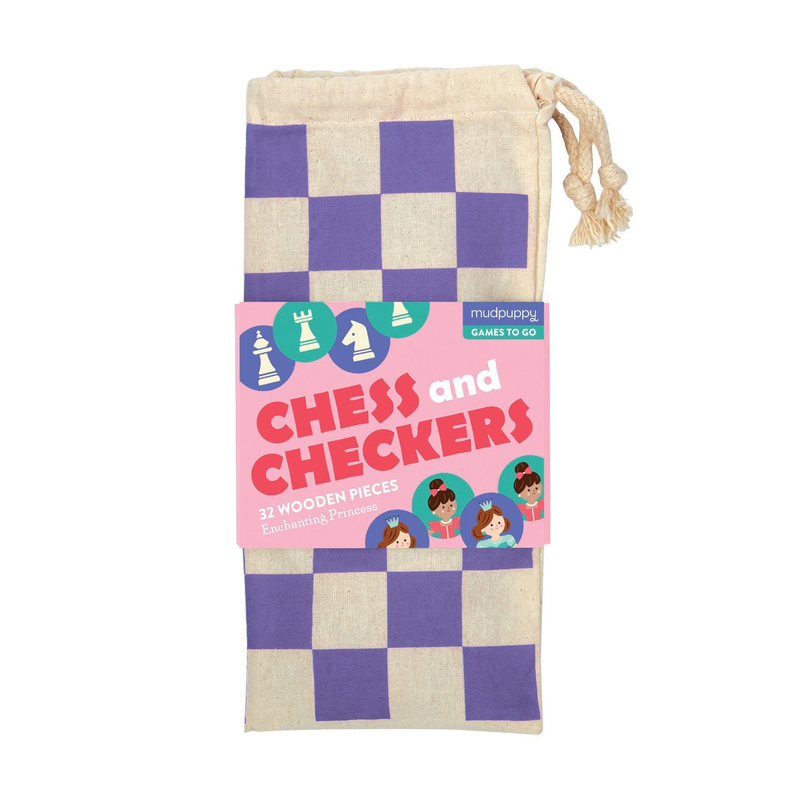 Play two classic games on-the-go with Enchanting Princess Chess and Checkers from Mudpuppy. 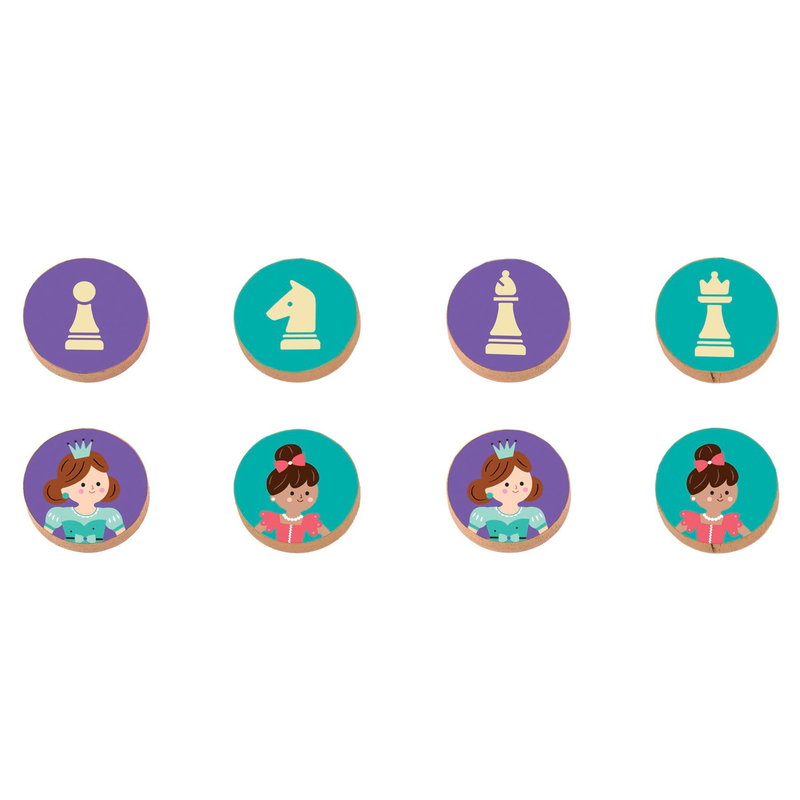 Play two classic games on-the-go with Enchanting Princess Chess and Checkers from Mudpuppy. 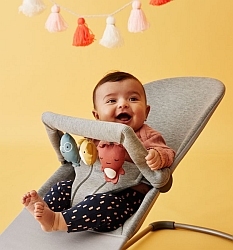 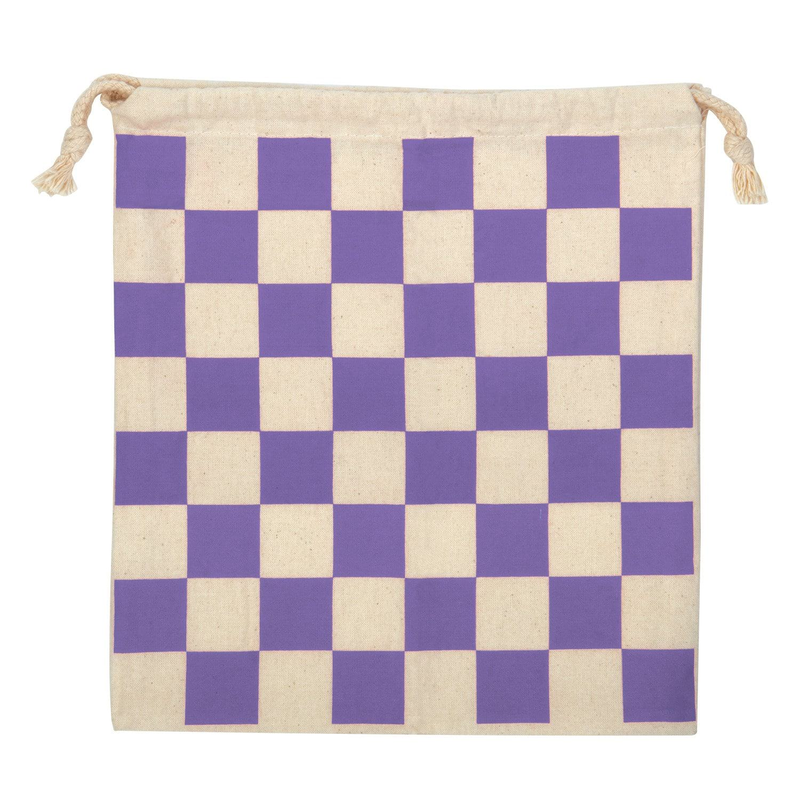 32 birch wood pieces feature classic chess symbols on one side and one of two ferocious dinosaurs on the other, all packaged in a travel-friendly drawstring bag with the game board silkscreened right on it!